Hong Kong parking space near the harbourfront on the first floor of a luxury apartment sold for ($664,000). 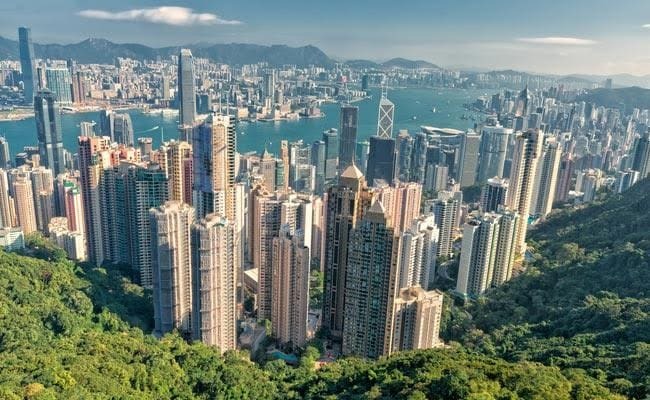 Hong Kong: Its property prices are famously sky-high but now a Hong Kong parking space has been sold for an eye-watering HK$5.18 million ($664,200) in what local reports said was a world record. The space is on the first floor at a luxury apartment complex near the harbourfront in the west of Hong Kong Island, according to records from the city's Land Registry. Measuring 188 square feet (17.5 square meters), it was bought by Kwan Wai-ming, an executive director at an investment firm, said the South China Morning Post which called the sale a world record. It tops the HK$4.8 million paid for a parking space last October at another luxury residential complex. Critics also accuse the government of having cosy ties with developers, rather than prioritizing the construction of more reasonable public housing. Properties Of Those Who Migrated To Pakistan To Be Put To "Public Use"